This club was set up at the request of the children who wanted to play football after school to have a fun competition. The club has been running for 5 years and is open to children between 4th class. The team names consist of real countries who won’t be contesting the World Cup in Brazil this summer! At the moment the four teams are Myanmar, Oman, Laos and Nepal. 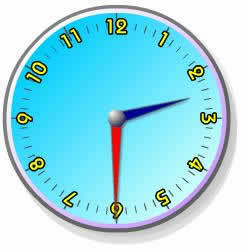 Each team plays against each other in games lasting 5 minutes each half and the results are kept on the class notice boards. 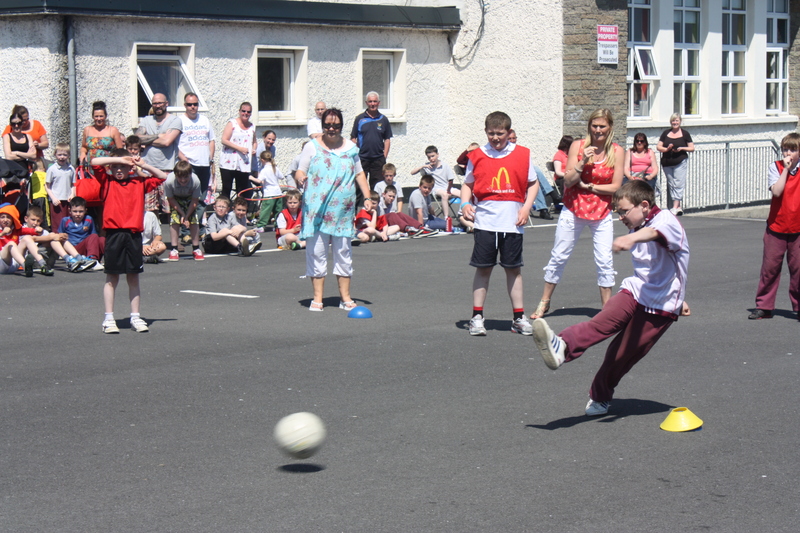 Fun and games at the annual St. Peter’s World Cup Final, held every June! Multi-sport club is run by the school and the Sports Promotion Unit and the aim is to give the children of the school the opportunity to try new sports and then provide information of local clubs if they would like to continue their participation further. 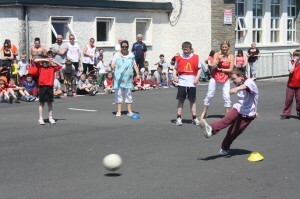 The children practice their new skills for two months and then play a tournament against other schools in the Bray area where the emphasis is on fun over victory. Some of the sports already introduced into the school are Olympic Handball, Hurling, Basketball, Tennis, Rounders, Athletics and Tag Rugby. St. Peter’s are especially proud of their record in Tag Rugby and Basketball over the years. Check out the Multi-Sports crew enjoying themselves at a tournament in March 2014! 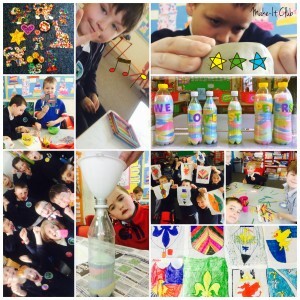 ‘Make-It Club’ is our new lively crafts club for 1st and 2nd class pupils and runs each Thursday from 2.30 to 3.20pm. It’s a really exciting time when the children can be creative without worrying too much about the end product! We make lots of fun crafts each week, using materials like salt, clay, lollipop sticks, yarn, paper plates, and even bed sheets! Some of our projects so far this year have included coloured sand bottles, keepsake boxes, medieval bunting and our own badges. Sometimes we make individual crafts and other times we make bigger creations which we put on display in the school. The children love working together to ‘make-it’ and whether it’s building junk-art robots or melting crayons on a canvas, it’s lovely for us to see them being challenged to think outside the box and make something truly unique! Currently in its fifth year, the singing club in St Peter’s has proved to be very popular with boys and girls from second class to sixth. The club was set up after the teaching staff noticed how the pupils in the school loved the Christmas concert and it was decided to give them another platform to show off their talents. The club has performed with the Christmas Hallelujah choir on three occasions, twice in the R.D.S. and once in the Citywest conference centre. They have also sang twice on Bray seafront as part of the Gospel rising festival and have received huge compliments from all who have heard them. Have a look at our video from the Hallelujah Choir performance in 2013! 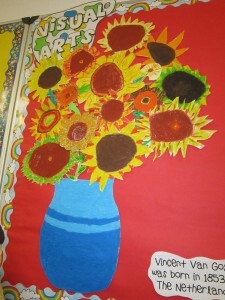 The minute you step into St. Peter’s, you realise that we love colour, art and creativity. To this end, we run weekly after-school clubs for arts and crafts! Got an idea for another club? Don’t forget to mention it to the Student Council or Ms. Whyte!